A group of MIT students traveled to Instituto Alpha Lumen, a school in São José dos Campos, Brazil, in early 2019 to assist in the formation of a smart city initiative. The school offers a rigorous educational program for talented youth, providing students many opportunities to train in science and technology fields and preparing them for studies at top universities internationally and in Brazil. Assisted by three MIT student volunteers, the school’s robotics club embarked on a project to continuously collect weather readings from different parts of the city—weather can vary widely from one location to another—the first step of their smart city initiative. Both the institute’s students and MIT volunteers worked on the school’s site in São José dos Campos to develop prototypes for their smart city weather sensors. Each of these weather-sensing stations was built using Arduino boards and collected data on temperature, humidity, air pressure, air quality, rain, and wind. Once the weather sensors were set up and generating data, the team had to decide how and where to collect the data for analysis. The team comprised students from the institute and visitors from MIT, and their time together onsite was limited, so they needed a solution that allowed them to minimize development time. For this, they looked for a flexible solution that could handle data of different formats, coming in from multiple sources at any given time. For greater simplicity, they wanted to bypass storing the data in an intermediate location, such as cloud object storage, and send the data directly to an analytics engine. The team ended up configuring the sensors to send their data, packaged in JSON format and emitted every few seconds, to a wifi chip on the board. The wifi module, in turn, sends these messages directly to Rockset via HTTP POST requests. Setting up the HTTP POST requests to get data into Rockset only took the team several hours to accomplish. The fact that it was so simple to get everything to work with Rockset was a big win for the team. They were able to easily ingest data from their sensors and share it with their collaborators, while saving on development effort. They couldn’t spare the time to build out servers and a database for their project, and Rockset was able to meet their need. Instituto Alpha Lumen plans is to bring the weather-sensing project to even more schools, spread out throughout the city. They hope to be able to track changes in weather in different parts of the city over time. 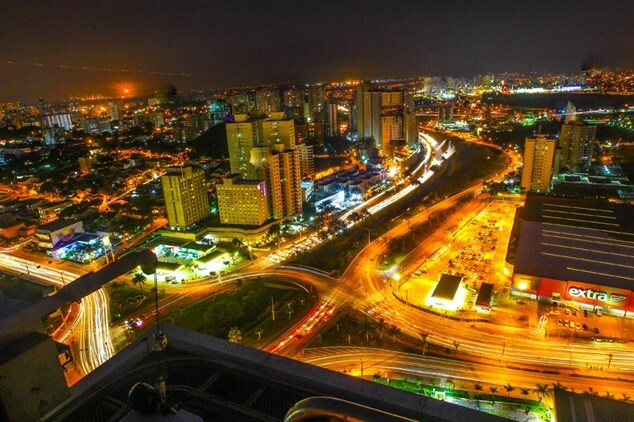 As more weather sensors are added, the institute aims to make the collected data publicly available, forming the foundation for smart city applications in São José dos Campos.